Sounds familiar…feels like you have heard it before. Let me refresh your memory. It is the recorded voice in the Mumbai local trains; Western line to be specific. 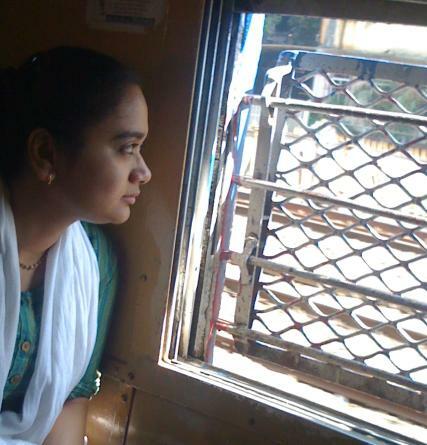 A remarkable portion of life in Mumbai is spent travelling in trains. You have missed the essence of Mumbai if you have never travelled by Mumbai locals. Over the years, there have been many changes made in the train, train timetable, platforms, stations, etc., in order to improve the services offered by the railway authorities. A few years back, if you were unfamiliar about the train map, then to ask someone in the compartment was the only way to find out about the next stop as the map stuck above the entrance is always in a ruined unreadable state. However, the new trains with better facilities, recorded voice reminders and LED displays have made the journey more convenient. While travelling in the locals, my train of thoughts is usually distracted by the recorded female voice that reminds the passengers about the arriving station in three different languages at uniform pauses. 7 to 10 am & 6 to 8 pm…Entering a local at the peak hours is a very big task, of which I was initially apprehensive, but it has become a habit now. Every day for me is a new experience as I get to observe so many different faces, expressions, clothes, accessories, accents, languages – all in my 25 minutes ride in a slow local from Dadar to Andheri. Some faces have become familiar over the past six months, yet there are many new faces that keep adding each day. Hawkers…they play a very crucial role in keeping you busy during your journey by selling various products ranging from food and clothes to cosmetics, accessories & stationeries that are showcased by utilising every little unoccupied space in the train. Sometimes you feel very sad looking at them. A pregnant lady hawker with one kid in arm and balancing three cardboard boxes full of stuffs on her head with the other hand in a moving train is not at all a pleasant sight. The kids who sell stuffs are suppose to be in school, not trains receiving odd stares and comments – sad, a very sad glimpse of developing India. Conversations…hmmm…sometimes interesting, sometimes very boring and irritating, however, they somehow keep you engrossed. No, no, it is not eavesdropping. People are loud and clear, therefore, I am forced to hear them. Again they come is various forms – a conversation between two friends, gossips and discussions on daily soaps, arguments between two ladies or blushing of someone while talking with husband/fiancée/boyfriend…you keep speculating as these days it is difficult to guess who is single and who is not with the fading marital signs like mangalsutras, sindoors and traditional wears. Posters…yes, they are very entertaining. These are stuck all over the metallic walls sometimes one above the other. Some of them are very hilarious like the very common one – ‘Contact Doctor Piles To Get Permanent Solution’. In my medical school, I never came across any subject that makes one a specialist in piles, so I keep wondering about this doctor’s qualifications. There are many more advertisements by astrologers, job vacancies, some brands, undergarments, etc., among the abusive words scribbled on these walls; some amusing and some annoying. View…Greenery at and around the tracks is beautiful. It reminds you of the lush green Indian farms. But your heart sinks when you see the amount of garbage piled at the corners of the track. Although this mess is cleared every single morning, there is always a new heap waiting to be cleaned for the next day. People forget the fact that the one who cleans this dirt is also a human being. It is a hopeless when you see a person carrying a fancy mobile, talking in style, reading some famous novel, but throws wafer packets out of the train window. What is the use of such education that enables one to read, understand but ignore basic mannerisms? Clean and green Mumbai is a dream, which is impossible to achieve without support from all – EACH AND EVERY citizen. Instruction Board…I wonder how many have ever noticed this board. A few of these instructions make me laugh my lungs out because passengers do every but what is instructed. Well, as of now I have not seen anyone smoking in the ladies compartment. May be this instruction is taken seriously. 2. A person carrying dangerous goods on the railways could be given a prison term up to three years or fine up to Rs. 1000 or both. Dangerous goods…a good reminder provided someone reads and understands the consequences of the action. 3. Unescorted students depend upon you for protection, please accommodate and look after them. Yes, point noted though these days kids are smarter than adults. 4. It is dangerous to lean out of a running train. Yet people perform various stunts even if there is ample space in the compartment. 5. Do not travel without proper ticket. Every single day numerous passengers get into the first class compartment with a second class ticket and when asked, very cleverly make ‘an OMG face’ and say that it was a mistake. However, by the time they apologise, the train has reached their desired station and it is time to leave. Worst still, several people travel without tickets and are confident that they will never be caught. 6. Please do not keep luggage near the doorway. 7. Please do not keep your feet on seat. 8. Please allow passengers to alight first. Ask this to someone travelling in a Borivali train, who wants to get down at Andheri. If he or she gets down in one piece then they should not forget to thank God. …And once again my thoughts get interrupted by the recorded voice…Oh! I see the Andheri station platform…Now I need to move out quickly before I am crushed by the arriving mob…I get down and become a part of the huge ever-increasing crowd at Andheri station. This is Mumbai…this is life in the financial capital of India…yes, this is Mumbai meri jaan! Jai ho!